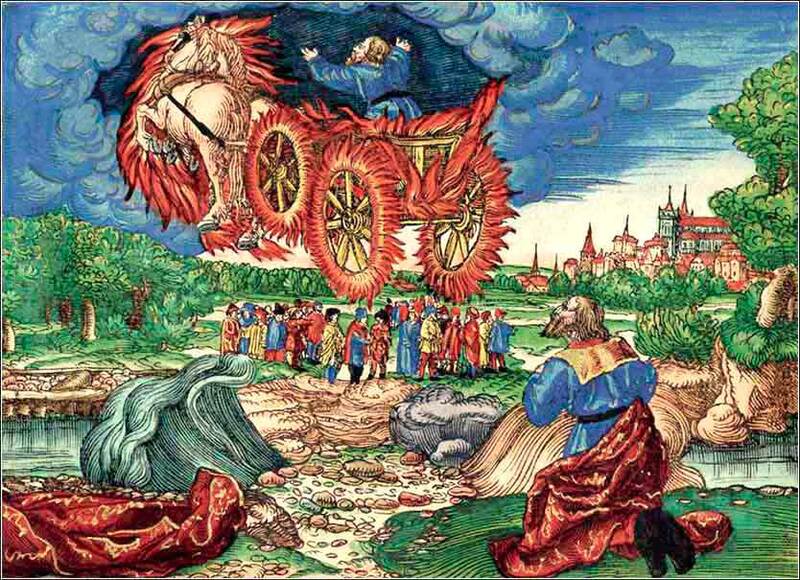 Elijah Taken up into Heaven from the workshop of Lucas Cranach. This is one of a remarkable series of woodcuts Cranach did for Martin Luther's 1534 Bible. The scene here is from 2 Kings 2. Jesus tends to his people individually. He personally sees to our needs. We all receive Jesus’ touch. We experience his care. 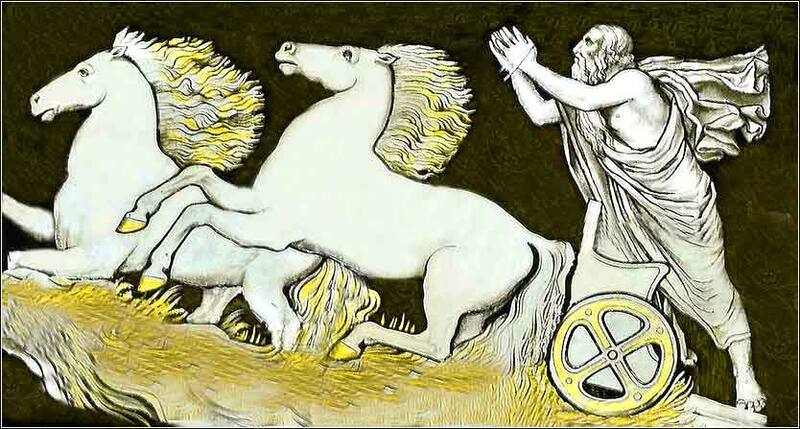 lijah is second only to Moses as the great prophet of Judaism; some would say they share the honor. He is revered by Jews, Christians, and Muslims alike. Nobody knows anything about his origins -- he simply appears on the scene, ranting against a host of heathen deities. He lived approximately 900 years before Christ. We don't even know his birth name for sure (although he is sometimes called Elias) -- Elijah is a Hebrew phrase meaning either "Yahweh is God" or "Yahweh is my God". He performed many miracles and predicted the coming of a Messiah. Just before Christ's crucifixion, he appeared with Moses to Christ and several of the disciples. Elisha was Elijah's spiritual heir, and like him, was a worker of miracles and a great prophet, continuing his work. 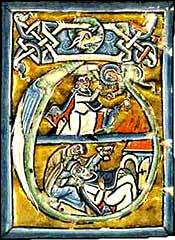 But although he was a great prophet, and is also revered by Jews, Christians and Muslims, he was not the great figurehead that Elijah was. Elijah was special, a direct forebear of the Messiah, carrying the promise of salvation not only in his words, but in his being. Elijah Ascends, stained glass from the Tyntesfield House Chapel in Wraxall, North Somerset, England.